With a little assistance from our very own Cheryl First! See, even Stella needs a little assistance once in a while! Care to join us today?? Our design team certainly did! 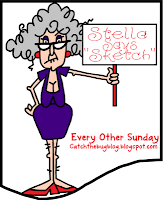 Play along with Stella for Sketch 116 and you have the chance to WIN BIG Bugaboo Prizes!! 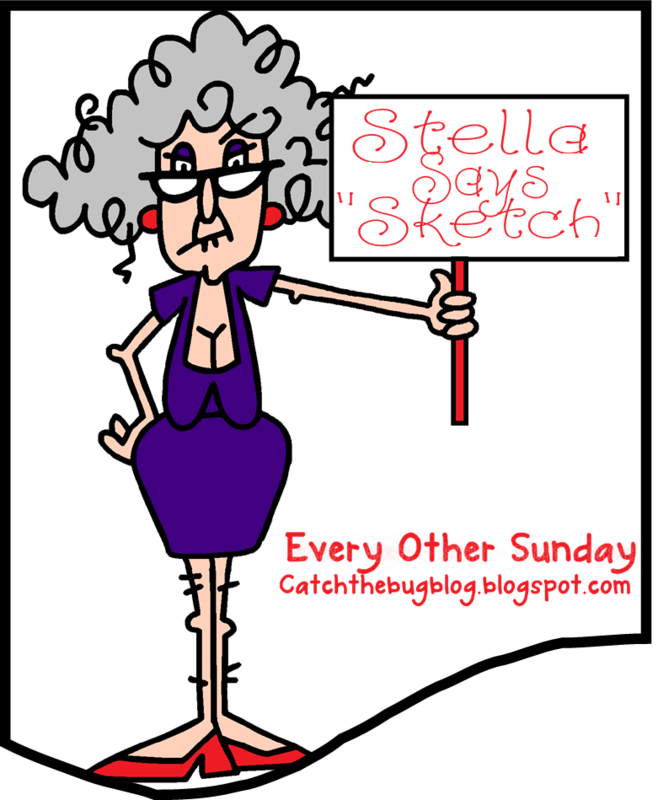 The rules are simple: Create a Sketch project and post a link to it on Bugaboo Stamps' challenge blog, Catch the Bug, by 8/5 at 6:00 AM EST to be entered a random drawing for three digi prize packs –ten (10) (using Bugaboo only) seven (7) or four (4), using any image! Fun sketch...even though it was a bit tricky!